WEP Engineering has been trading since 1983 and we are proud to be able to assist you in all your Steel Structure Requirements. WEP Engineering is driven by an experienced and qualified team to ensure we deliver service and support excellence. WEP Engineering specialises in Designing, Manufacturing and Erecting all types of Steel Structures according to the client’s specifications. We are situated in the Benoni Northern Agricultural Holdings but due to expanding we are moving to our NEW premises very soon. WEP Engineering works from certified designs in the manufacturing and erection of all Steel Structures, Warehouse, Aircraft Hangers and many more. 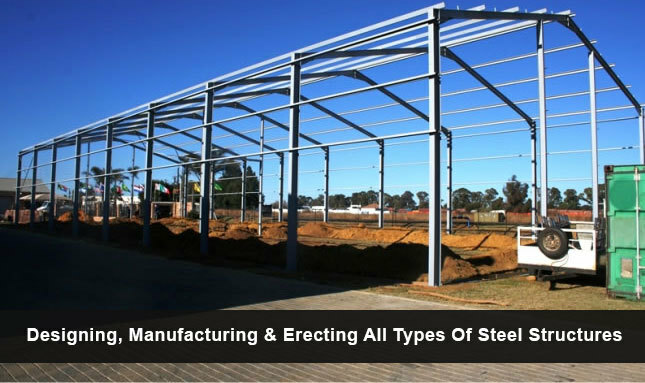 We erect our structures throughout South Africa and we export to African Countries as well.